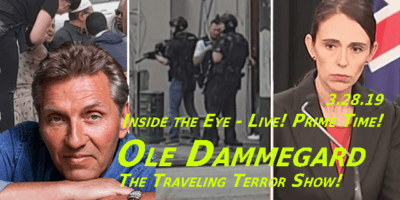 David Gahary - Erasing the Liberty | Inside the Eye - Live! 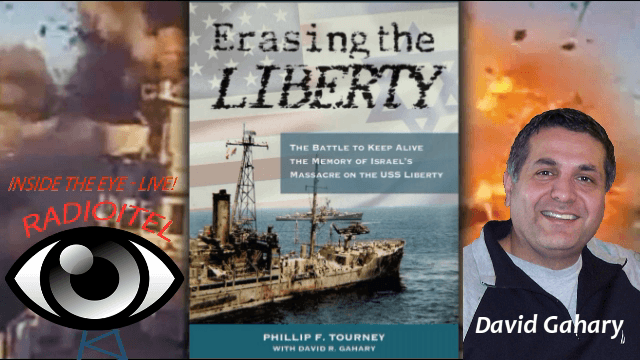 David “Dave” Gahary, who co-authored the book “Erasing the Liberty, the Battle to Keep Alive Israel’s Massacre on the USS Liberty“, joined Inside the Eye – Live! 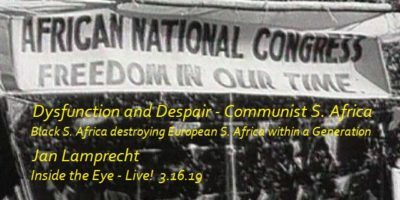 in hour number to discuss his book and follow on film project, as well as providing an intense account of the eventful days prior to, during, and subsequent to the act of war by Israel against the United States when Israel attacked the USS Liberty. 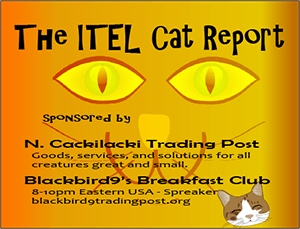 The show proved to be an insightful bit of history as Dave is perhaps one of the most knowledgeable independent journalists regarding the Israeli attack on the USS Liberty, having interviews some 50 survivors and counting. Some insights we learned include the fact that although the USS Liberty was sailing into dangerous waters where duplicitous Jews that make up Israel were operating militarily, the USS Liberty was sent into the combat zone without having a single Hebrew linguist on board. Consequently, the enormous treachery that Jews engaged in against the USS Liberty was documented not by the USS Liberty, but by a USAF electronics surveillance plane circling well above the theater. Dave went on to speak about the enormous treason and treachery within the United States Government which, for 50 years, has engaged in perpetual ignoring of the eye witness stories of the American sailors and intelligence officers who served on the ship, while waving a pass at the ludicrous statement by Israeli officials that the attack was “a mistake”. The fact that the USS Liberty was under aerial surveillance for nearly 6 hours on that fateful day assures us that Jews knew precisely what they were doing, attacked the USS Liberty with full intent to send the ship down to the bottom of the sea, and have managed to have the event swept under the rug. The USS Liberty, the Lavon Affair, the 1982 Beirut Bombings, 9-11, and the deliberately falsified “intel” regarding Saddam Hussein’s “weapons of mass destruction” program all remind us that Israel and those Jews in America that support this rogue state are clearly and without question enemies of the United States. The video file is available on both Youtube and Bitchute.